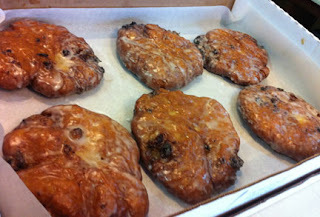 Fritters on the weekends only, so on my last Saturday, I came back. 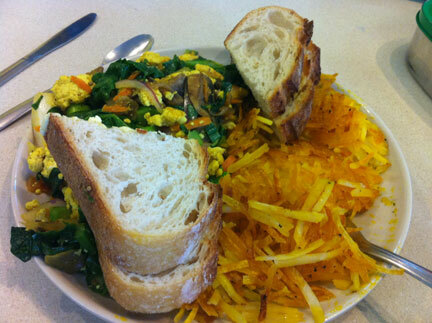 They only serve breakfast on the weekends too, so I had their scramble! The donut case was calling my name, but I held out for fritters. 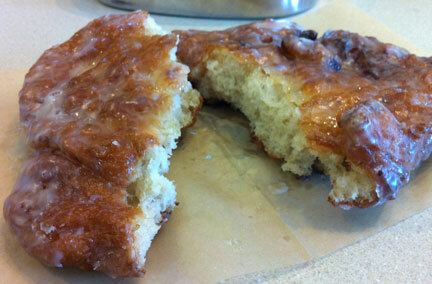 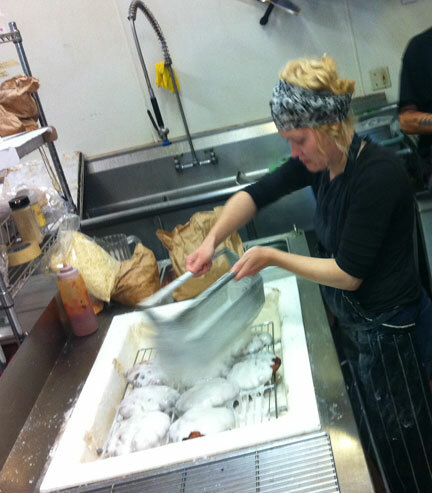 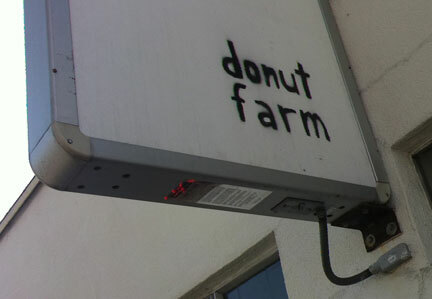 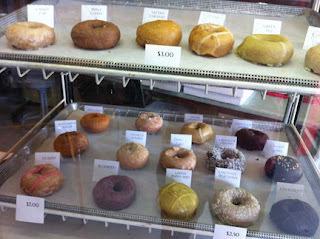 so all the raised donuts, including fritters were made while i waited. One more pass for good measure! 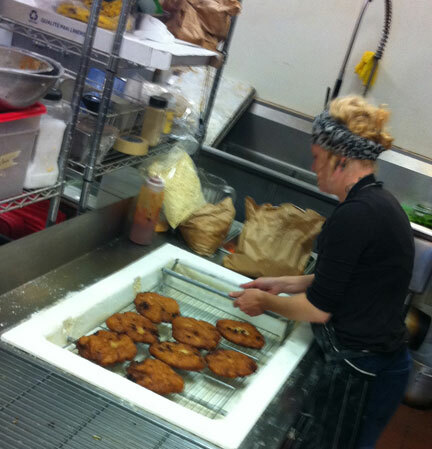 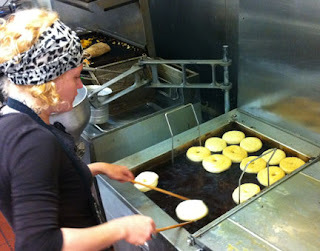 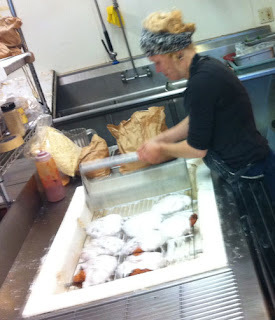 This morning they made traditional apple fritters and special banana fritters!